BREAKING NEWS- Fire at Disney World's Magic Kingdom Park. This hasn't even hit the news media yet! A picture posted by R.A. Pederson (@Epcycolpedia) show a fire happening live at Disney World's Magic Kingdom Park.The photo credit appears to belong to R.A. Pederson of Twitter. 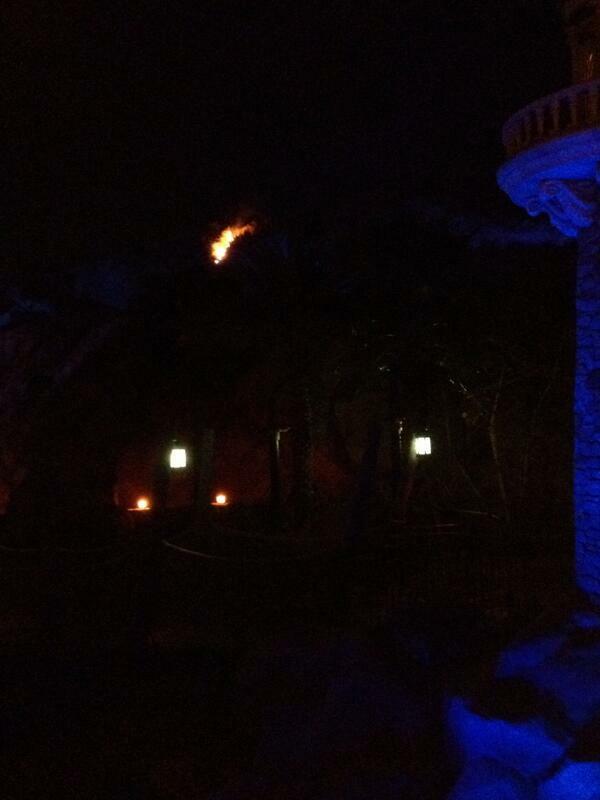 The fire is either in or behind the new expansion of Fantasyland. The attraction in question- Under the Sea, Journey of the Little Mermaid. Right now we don't have any answers, but you can clearly see flames in the area of the attraction. Current News is that all of Fantasyland has been evacuated for guest safety. We will update as more information becomes available. Sources are saying the fire has been extinguished. Many seem to suspect that the fireworks show "WISHS" could have been the cause. Damage unknown at this time. Orlando Sentinel is reporting the fire was caused by the Magic Kingdom Fireworks, damaging a five foot section of the attraction's roof.